In African societies, female genital mutilation (FGM) is widespread and deeply rooted in tradition. Even in countries where this practice is banned, mothers still find a way of manipulating the system and taking their young daughters to undergo this harmful and brutal process. This traumatic experience is an attack on the dignity of the victim and has immediate and life-long consequences, like excessive bleeding, infection and difficulty during childbirth. This cross-border story, which takes place in three African countries, namely Nigeria, Kenya and Senegal, was awarded the 2018 Hostwriter Pitch Prize at the Outriders Summit in Warsaw, Poland. It explores the strategies adopted by individuals, NGOs and partners to provide solutions in the fight against FGM. In a dimly lit room, a handful of viewers are glued to a television screen. Silent and attentive, they are engrossed in the unfolding drama. This is a private viewing of a film on FGM, which tells the story of a Nigerian family and the battle of tradition over modernity. Produced in February 2018 and set in Ibadan, South West Nigeria, Bleeding Flower is a 25-minute movie that seeks to create awareness and help break down deeply rooted, age-old traditions in African societies on the harmful practice of FGM. “Bleeding Flower was shot during the Young African Leaders Initiative programme in Nigeria. It was a fellowship and fellows looked at issues and potential solutions in Africa. One of the issues that kept resonating was FGM,” said Ekene Odigwe, an anti-FGM campaigner and producer of the movie. “The film is a joint effort by 149 young people from different African countries who participated in the programme. We wanted to take the message back to our respective countries as a way of educating our people about this. My intention is to use this movie to educate and create social awareness in Nigeria on the need to end this harmful practice. Right now, education remains the major key we can use to unlock issues surrounding FGM,” Odigwe said. Odigwe was one of the participants at the Young African Leaders Initiative, a programme run by the United States government. The programme brings young Africans together for leadership training and capacity building. In 2018, 149 young African leaders from nine countries were selected for the programme, which is based in Nigeria. They decided to identify an African problem that they could help solve when they returned to their respective countries. FGM was selected as their focus and they decided that they would produce a movie to address the problem by creating awareness, educating the population and breaking the barriers surrounding the practice. The plot of the film centres on a battle in an African home: The mother of a man named Okoro wants her granddaughter (Okoro’s child) to be cut. She argues that if she is not cut, she would become promiscuous and will not have a good home when she gets married. But Okoro disagrees with his mother. He insists that female cutting is a rights abuse and a harmful practice that lessens the dignity of women and girls and should be discarded. Okoro’s mother, who was visiting her son and his family, refuses to accept his reasons. She becomes antagonistic to Okoro’s wife, whom she blames for influencing her granddaughter and not allowing her to be cut. 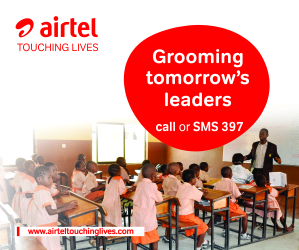 One day, when Okoro’s daughter comes back from school, her grandmother convinces her of the need to be cut. She tells the gullible child that she would enjoy her home when she gets married. The young girl agrees and lies to her mother, saying she wants to visit friends. Her mother agrees and the girl ends up travelling with her grandmother to the village, where she is eventually cut, alongside other young girls. When Okoro returns from a trip and asks after his daughter, his wife tells him she went to see her friends. He immediately senses danger and foul play. Hopping into his car with his wife, they head to the village where they find their daughter unconscious, half-dead – she had been cut by Okoro’s mother, who was standing alongside other cutters. Okoro rushes his daughter to hospital, where she later dies of complications from the cutting. His mother and other cutters are arrested by the police. “The idea was that when 145 of us go back to nine different countries, we could bring these issues to people face to face. People love entertainment, so we decided to put it on screen for all to see. Since I have been back, all I have been doing is touring towns and showing this movie. We then have discussion sessions and talk about how we can end this. And believe me, it is working. A lot of women who have been cut are speaking up,” Odigwe said. Already, the movie is beginning to have an impact. Many of those who have been cut are speaking up and joining the movement. Enugu State in South East Nigeria, where the movie was first shown to viewers, is currently looking into the implementation of the Violence Against Persons Prohibition (VAPP) Act. Signed into law in 2015, the VAPP Act seeks to end violence against persons in private and public life, including physical, sexual, domestic and harmful traditional practices. The Act provides maximum protection and effective remedies for victims and punishment of offenders. “What that will help us achieve is that people who are violated can now sue and people, especially women, who feel their rights have been violated can easily see something to fall back on legally,” he said. Some years ago, Odigwe lost two people whom described as “close to his heart” to the practice. Since then, he has become an advocate to end the practice of FGM in his community. “People don’t talk about it because they feel that if you do, you are fighting culture, which is meant to be preserved. That’s the reason for this movie; that is why we want to educate them,” Odigwe said. In 2015, Nigeria banned the practice of FGM and listed punishments, including jail terms, for offenders. Nevertheless, five years after the ban, the practice is still going on, especially in rural communities. Interestingly, according to Odigwe, the practice has been “medicalised”. However, for Odigwe, collaboration in the fight against FGM is paramount. At present, he is partnering with like-minded NGOs to end the practice. Sadia Hussein traverses Tana River County, a dry and remote area in the southern part of Kenya, to protect the girls in her community from suffering a fate similar to hers. Hussein underwent FGM when she was 10 years old, an experience she says left her with life-long scars and trauma that she is carrying decades down the line. Ignoring her pain, she has set out to free the region from this outdated practice. Together with 20 other survivors of the female cut, Hussein, now 32, has been preaching the anti-FGM message in the county with impressive results. The most remarkable result to date is making Hola Town, an urban area nestled in the county, FGM free for 10 years now, after managing to convince the cutters to abandon the practice for farming activities. “It was not easy to convince them to stop their trade, but giving them capital in the form of goats to start another business made them stop,” said Hussein. She started preaching against the practice in 2008 but it was not until 2013 that Hussein and like-minded women from her community came together to try and put a stop to the high prevalence of FGM among Somali Kenyans, the most affected community in Kenya. The group works under the Dayaa Women’s Group, an entity that now actively involves the traditionalists (cutters), and religious and community institutions in the fight against FGM. Sadia Hussein, Coordinator Dayaa Women’s Group, is protecting young girls and creating awareness on the practice in Kenya. Photo: World Vision. Using songs composed to highlight the dangers of cutting, and by inviting forward-looking men to speak against the vice on community radio shows, the Dayaa Group has managed to bring about a reduction in the practice. The group has regular shows on Tana Broadcasting Station and Tana FM, both community radio stations, besides doing occasional shows on Somali-speaking radio stations broadcasting in the Eastleigh area of Nairobi. “My community is entirely Muslim and those who still conduct the cut base their choice on religious grounds. But we are working with religious leaders who now tell them that Islam does not in any way advocate for the mutilation. We can’t win this fight alone,” said Hussein. Dayaa’s Women’s Group is one of the partners of the Kenyan government’s State Department of Gender Affairs and the national body against the practice, the Anti-FGM Board. The Kenyan government outlawed FGM in 2001 but it was not until 2011 that the FGM Act came into effect after the 10th Parliament passed it. The Anti-FGM board was formed after the enactment of this law. The board has formed partnerships with various entities, especially in the introduction of alternative rites of passage. Alternative rites of passage initiatives are designed to educate the public on the dangers of FGM, while encouraging communities to adopt safer rites of passage. World Vision, another Kenyan government partner, oversees alternative rites of passage training, in collaboration with various institutions of learning, in Pokot, Samburu, Isiolo and Kajiado, some of the worst-affected areas in the country. These efforts have begun to yield results with some people, such as the young men involved in the training in West Pokot County, located in the Northern region of Kenya, beginning to change their views regarding FGM. Still, regardless of the efforts by the government and independent institutions like the Dayaa Group, many girls are still undergoing the harmful practice. Kenya’s State Department of Gender Affairs estimated that by end of last year, 9.3 million women residing in this East African country – about 20 percent of the country’s population – has undergone the female cut. The high numbers are attributed to the deep roots of this cultural practice, which is still rife in 10 of Kenya’s 44 tribes. The prevalence in some places – for instance, among Kenya’s Somali people – is currently at 94 percent, according to the latest figures from the Kenya Demographic Health Survey (KDHS). Other communities with high FGM prevalence rates are the Samburu (86%), Kisii (84%) and the Maasai with (78%). The practice is also rife among the Embu (31%), Kalenjin (28%), Taita-Taveta (22%), Kikuyu (15%) and Kamba (11%) communities. Haithar Somo, a UNICEF child protection specialist, says several cases of the cut on infants had been reported in Taita Taveta, a coastal region in Kenya. Studies continue to show that despite the government’s ban in 2001, practitioners of FGM keep changing their strategies, making it hard for the authorities to arrest culprits and enforce the law. Cross-border cases have also grown as the perpetrators and the girls cross over to other countries like Tanzania, Uganda, Ethiopia and Somalia for the cut, in a bid to circumvent Kenyan laws. The involvement of health professionals like doctors and nurses in the practice has further given FGM deeper roots in communities like the Kisii. Community support for the eradication of FGM in Kenya has seen men join the fight as the government and various entities join hands to end the practice. The Kenya MenEngage Alliance is a male initiative organisation that is actively engaged in fighting the cut among the Kuria community in Migori County and across the Kenya-Tanzania border. “We target the community and religious leaders because of the authority they have at community level. We are working closely with them in teaching the villagers why FGM needs to end and why it adds no value to a woman,” said Elias Muindi, Programme Officer for MenEngage Africa’s Kenya network,. “The national discourse is there and it is helping to interrogate the key drivers of FGM, especially the custodians and the people benefiting from the practice,” said Felister Gitonga, Programmes Officer at Equality Now, another Anti-FGM Board partner. “As a partner of the government, we plan to continue working at county level, especially in Kajiado and Narok counties, where the practice is still high, and in addressing the cross-border challenge,” said Ms Gitonga. In 1999, Senegal passed a law banning FGM and made the practice a criminal act punishable by a sentence of up to five years in prison. Many efforts have been made since then. Back in 2008, thousands of communities openly denounced the practice. But some communities are still opposed to it and practice it in secret, despite the law banning it. However, at present, women – individuals and groups – in Senegal are leading the fight to end FGM. One such group is Defenders of Women’s Physical Integrity, who are campaigning against it and demanding the full application of the law to stop it. “In the rural areas, many people are progressively abandoning the practice,” said Mariama Niamadio, an activist who is fighting against FGM in the southern region of Kolda, where the practice was the most widespread. She acknowledges that they have convinced some families to end FGM and many of those who used to practise it have totally abandoned it in certain villages. In civil society, women like Mariama are sensitising conservative families who still practice excision. They also finance alternative projects, with the help of NGOs, to help those women who performed it to create and run their own business so they can be financially independent. That autonomy, they hope, will help cutters focus on their small business and abandon the practice. The solution seems to be working. In many villages, women who practice excision collectively abandoned it and threw away their working tools. To make sure they have indeed abandoned it, campaigners against the practice go round from village to village to sensitise and educate them more but also to check whether there are girls who might have been excised in secret. They gather women in a central place in the village and hold discussions on the dangers and negative consequences of FGM. In addition, they talk to young girls who are likely to be cut to see if they are hiding any trauma from recent violence. “We try to detect signs of a recent trauma in their words and observe how a girl behaves in public, particularly if she looks at her mum when we ask certain questions,” she said. Assy Diamanka, a college student in the city of Kolda, presents a programme dedicated to ending the practice on a local community radio with a group of girls per district. They meet twice a month to talk about things concerning girls, like genital mutilation, arranged marriages, rapes, early pregnancies and some diseases that typically concern women. But effort still needs to be made because in the urban areas, some families do it secretly, with the complicity of some medical personnel, for example where surgeons excise girls. Last year, a number of girls under 15 years of age were mutilated at different places in the country. To end the practice, the civil societies fighting against it advise authorities to popularise the law and apply it as rigorously as possible. Posted by Grace Shaibu on February 15, 2019.